Decorate your base with this pumpkin. Can be "carved" with all manner of paints. The Pumpkin is a Halloween item. It appears only during the ARK: Fear Evolved event. Pumpkins can be used to summon a Witch Hat Skin at the Obelisks. They can also be used for simple decoration. 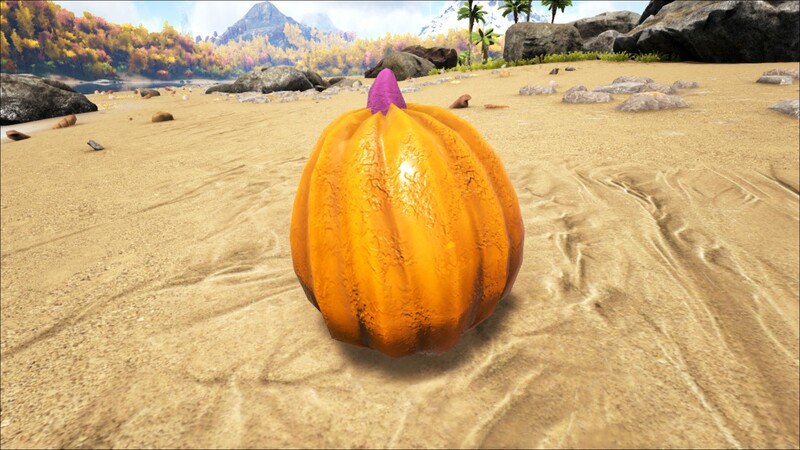 The Pumpkin is treated as a thatch structure and can be damaged by anything except non-explosive ranged attacks. Unlike any other object, drawing on the Pumpkin results in a "carved" look. 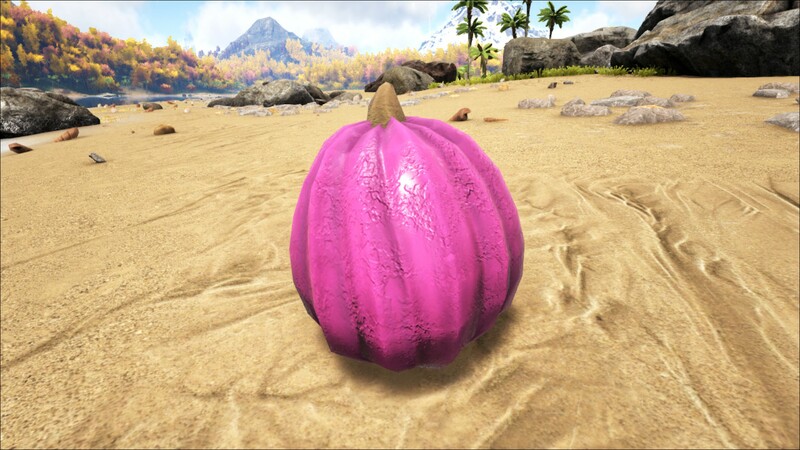 In addition to its preset paint regions, you can doodle on the Pumpkin by "attacking" it with a Paintbrush, which will open the "Apply Paint" Menu. Then, click and drag your cursor over the 3D model (like a paintbrush) to draw anything you want. See Painting for more information on doodling. This page was last edited on 10 December 2018, at 17:20.